Mr. Bülent AKGÜL was graduated from Military High School in 1989, and from War Academy as a signal officer in 1993. From 1994 till 1998 worked as signal team commander in Ankara and as a team commander in Diyarbakır. Thereafter, Mr.AKGÜL attended a certification program in Middle East Technical University, Computer Engineering Branch Ankara from 1998 till 1999. 1999-2002 - Information Systems Officer in Haydarpaşa Gülhane Military Medical Faculty İstanbul. 2002-2006 - Intelligence Information Systems officer in Intelligence Branch of NATO Rapid Deployable Corps Turkey. 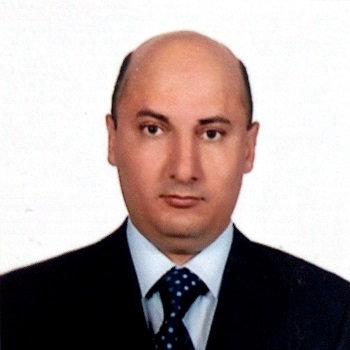 Also Mr.AKGÜL worked as Intelligence Information Systems officer in Intelligence Branch of International Security Assistance Forces (ISAF-VII) for 6 months in 2005. 2006-2008 - completed his master’s degree on Technology Management in Turkish War Academy. 2008-2010 - Information Systems officer in Counter Intelligence Branch of Intelligence Division in Turkish Land Forces Command. Till 2015 he was a Voice Switching Section Chief in Turkish Armed Forces Integrated Communication System Main Control Center. For now Mr. Bülent AKGÜL is Cyber Security Advisor of NATO Liaison Office Ukraine.